In any case, once you are passed through Zurich’s dark side and enter the garden, you will find yourself, of all places, in China. The garden was build and designed by a team of Chinese as a token of appreciation for Zurich’s assistance in the development of drinking water supply and drainage of their home town of Kunming. 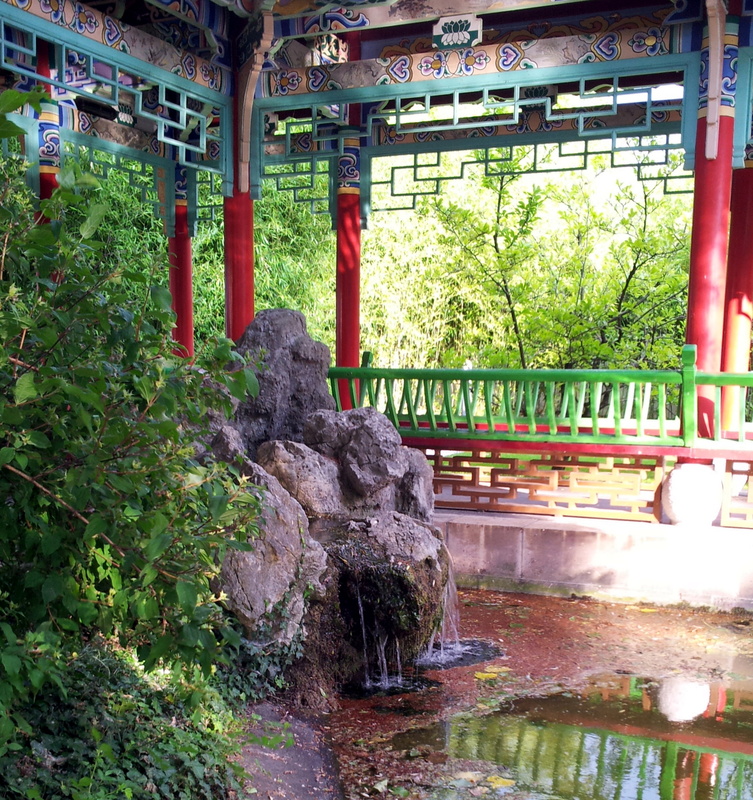 Water, of course, is the central element, as a symbol of friendship between Kunming and Zurich. The garden is themed around the Three Friends of Winter, pine, bamboo and plum blossom, the three plants that brave the cold and rain. They represent the source of feelings and aspirations – the bamboo is the forest, with its unique sound when wind is blowing; the pine symbolizes the male principle among the trees and a long life; the plum blossom, which flourishes at the end of winter, is a joyful symbol of spring.